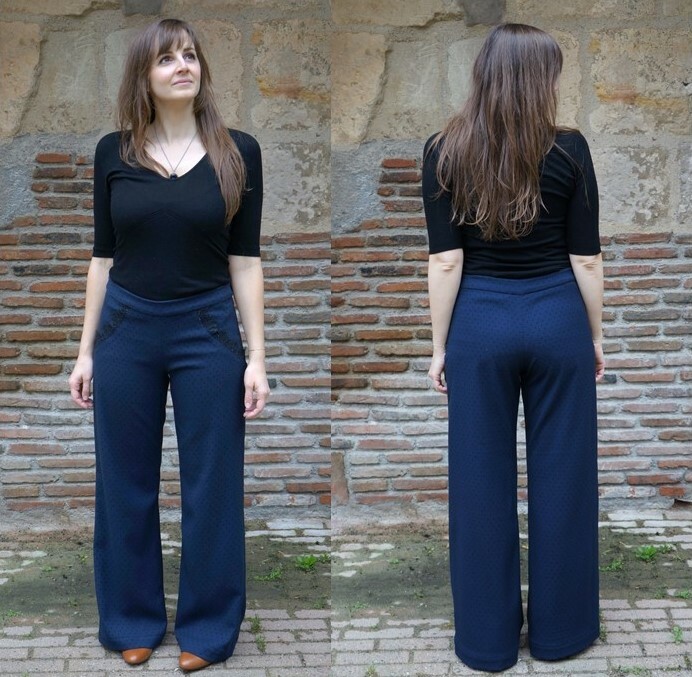 The Oscar trousers are a lovely 70s style pair of trousers featuring a belted waistband and slightly flared legs. 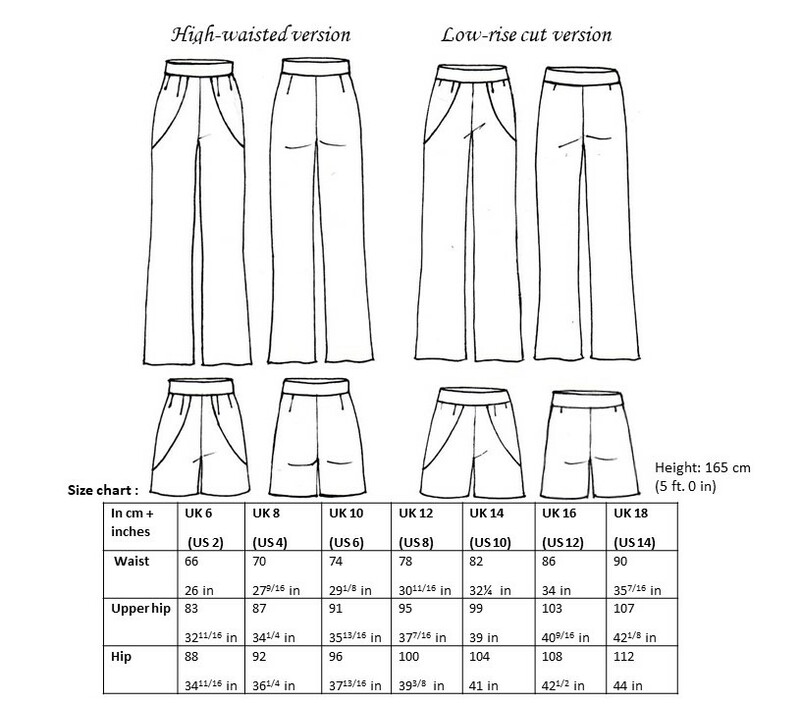 You’ll be able to choose between the high waist or the low-cut version. 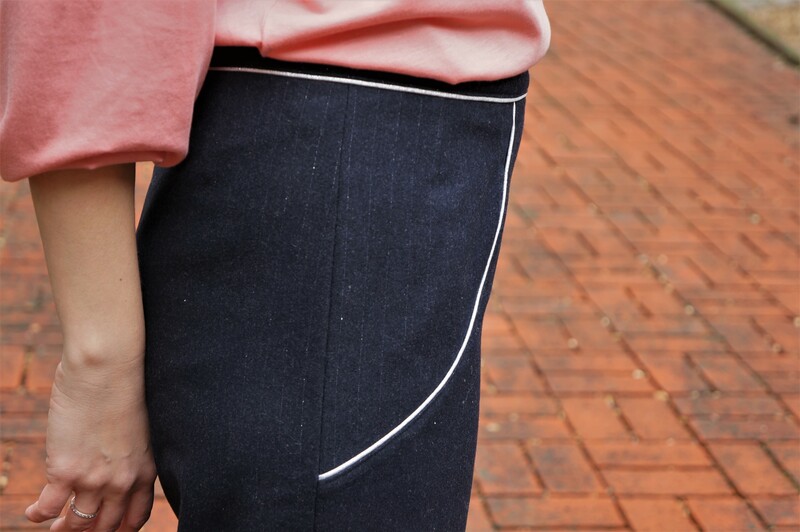 At the front, Oscar has two yokes, reminiscent of faux-pockets or sailor-style trousers. 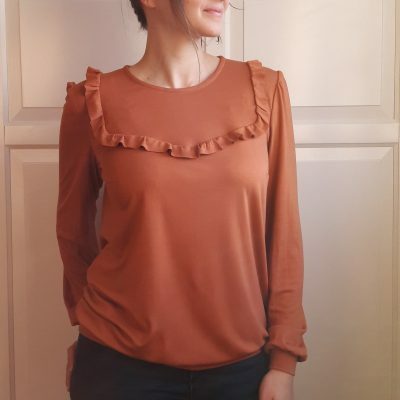 It closes with an invisible zip at the side seam, and with two buttons at the waistband. 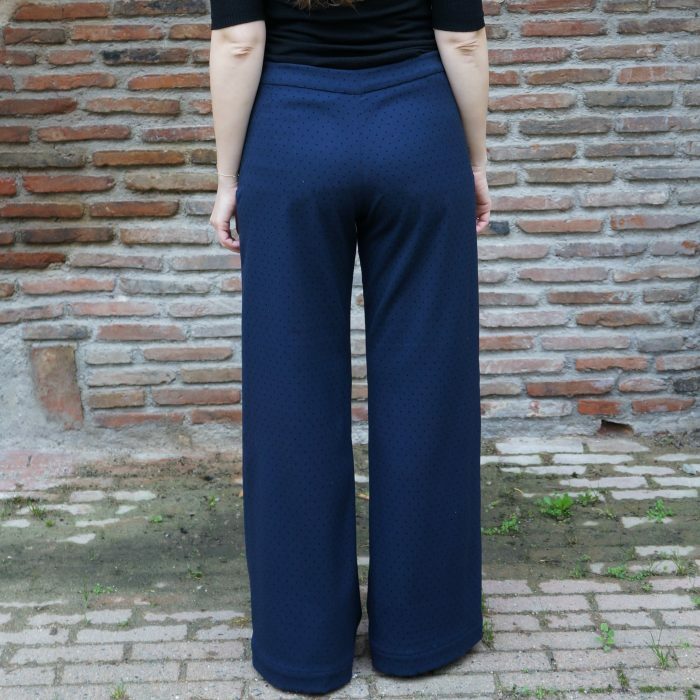 With 2 darts at the back, and 4 darts at the front, Oscar will beautifully mark your waist and skim over your curves. However, you will have more ease around the hips. Oscar is as stylish in the shorts version too! 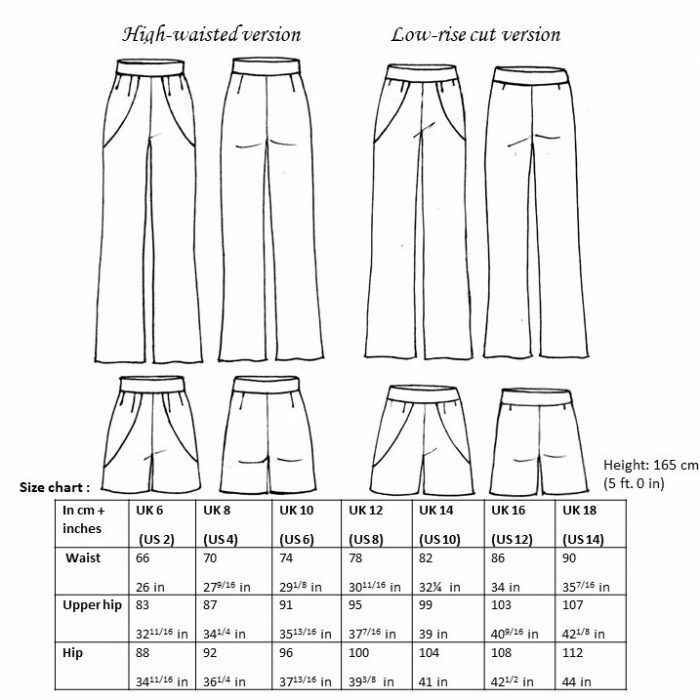 At the front, Oscar has two yokes, reminiscent of faux-pockets or sailor-style trousers. 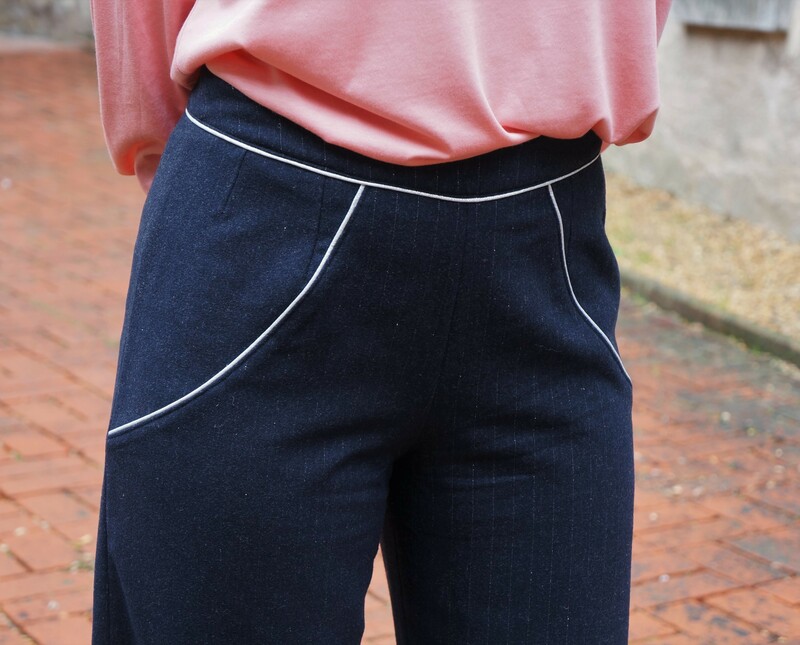 It closes with an invisible zip at the side seam, and with two buttons at the waistband. With 2 darts at the back, and 4 darts at the front, Oscar will beautifully mark your waist and skim over your curves. However, you will have more ease around the hips. Oscar is as stylish in the shorts version too! 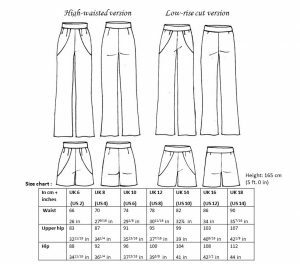 In the PDF file you will find the pattern (A4 and A0 size) and the instructions you need to create your trousers (or shorts).